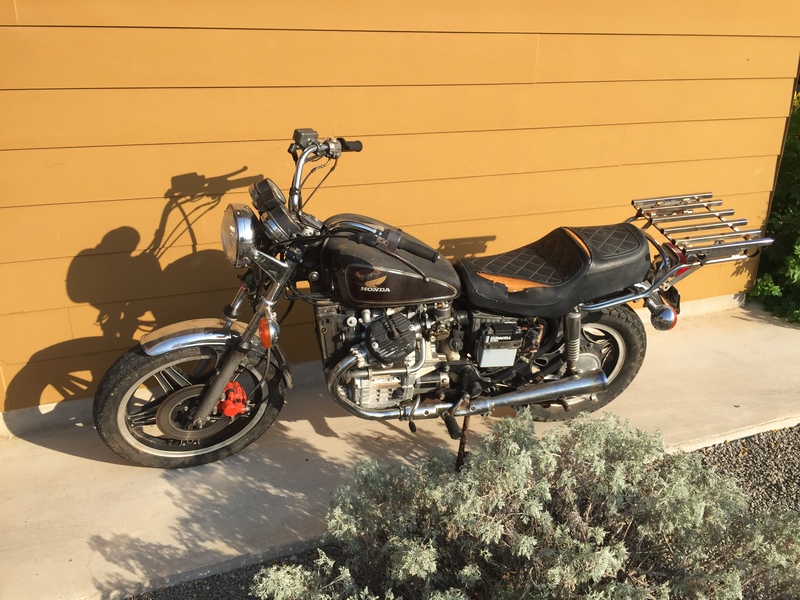 I’ve picked up a ’79 Honda CX500C motorcycle. It runs, but has a few issues. Leaky left carb, bit of an oil drip and in need of some paint and mirrors are the big ones. I’ll take the time to tinker with it, get it running nicely and practice some zen and the art of motorcycle maintenance. I’m hoping to get back to the three wheeler build, but I have to get the Texas rules figured out. Texas won’t allow car and motorcycle parts to be mixed, so I won’t be able to use the truck frame I brought from Maui. Just as well, it’s very heavy. So the key is how to construct a legal frame for the build. That will take some research. The three wheeler Morgan replica build will have to wait until I get the BMW 2800CS back on the road however since it needs to be protected from the weather and have it’s rust stopped as soon as possible to avoid damage to it’s still very nice interior. I’ve made the move back to the mainland and brought most of the project with me. I had to leave the CX650 engine behind but brought the New Old Stock CX500 engine with me. Texas law states that you can’t combine automobile and motorcycle parts in a vehicle. Probably due to too many VW trikes failing due to poor construction. I’ll have to rethink my project and begin anew. Although I liked the torsion bar suspension of the Datsun truck frame, it’s heavy and not quite suited for the project. I’m in a smaller space and the three wheeler project will have to wait till I get things setup for this project. I’ve got a good idea of what the end result should look like and I have a lot of inspiration from various web sites. The JZR Three Wheeler seems to be the closest to what I have in mind. I’d like to purchase a kit, but the purchase price and added shipping are out of my reach. And there’s a legal complication- the folks at the DMV gave me a call and told me that the final product of my labors would allowed on the road and would be classed as a motorcycle. That’s no surprise as most of the Morgan three wheelers seem to be classed as motorcycles. One surprise is that in Hawaii, apparently motorcycles are not allowed to have seats side by side (Really? no side cars?). This means that my build must be a single seater. And I was told that if I were to buy a JZR frame, I wouldn’t be allowed to modify it at all. However, since I am building my own frame, I’m allowed to make changes to the design when building it. I’m not quite sure how that will work out as I don’t want to narrow the body drastically. The drive shaft will run down the center of the car, and if the width of the frame is narrowed by much, I’d need to straddle the drive shaft and shifter. That just doesn’t make any sense. At this point, I’d like to develop some CAD plans for the frame and body so that I can do some test adjustments of the body size as well as determine the amount of needed materials. I’m using a Mac and the number of CAD packages available is less than a Windows box, but I’m sure I’ll find one that works. I’ve downloaded FreeCAD and will give it a whirl to see if it’s suitable. It’s also available for Windows and Linux boxes as well, so give it a try. In the end, I may simply leave the body as close to the stock Morgan as possible and simply not put in a right hand seat. The drive shaft will actually be on the right of center and if I put in an electric reverse as planned, it will be on the drive shaft itself, taking up more room over there.